A top Federal Reserve official said he believes U.S. interest rates are too high, and had no "good answer" when asked why the Fed is reducing its efforts to push borrowing costs down. "Interest rates are not low enough," Minneapolis Federal Reserve President Narayana Kocherlakota said at a Town Hall meeting in Montana, citing subdued inflation and "unacceptably high" unemployment as evidence. The fact that the Fed has not been able to achieve its twin objectives of maximum employment and 2-percent inflation suggests the need for lower rates, he said. The Bank Of Japan (BOJ) says it is looking for consumer spending to stay on a recovery path, focusing on the relatively small increase in nominal wages rather than the steep slide in real wages. Goldman believes the BOJ’s view is founded on money illusion; and crucially, expect the positive effects to be clearly outweighed by the negative impact of lower real wages, and on a net basis see consumption falling. Simply put, once people wake up to the illusion of money, its impact will also fade. Nominal wages have finally edged into positive territory after more than 18 months of Abenomics. However, prices have spiked on cost-push inflation driven by yen depreciation since mid-2013and on the consumption tax hike in April 2014 (from 5% to 8%). As a result, real wages were still in negative territory (-1.4% yoy) even as of July, when the outcome of the successful spring wage negotiations should have been almost fully factored in. 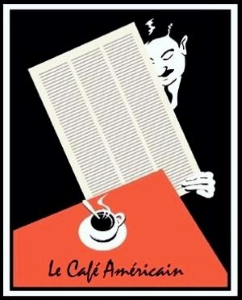 This post was published at Zero Hedge on 09/05/2014. I honestly can’t believe that more investors are not looking at unloading long positions in the homebuilders. Right now, by virtue of the fact that there’s a lack of good analytic ‘eyeballs’ slicing and dicing the industry numbers and the homebuilder financials, the homebuilder stocks are the most inefficiently overvalued sector of the stock market besides a few select tech stocks. I’ve been trading every part of the homebuilder capital structure since 1994 (bank debt, sub debt, pfd equity, common stock) and right now this is the easiest call I’ve seen in that period of time. Here’s my latest assessment of the macro housing data, backed up by some evidence I’m correct that comes right out of Toll Brother’s earnings report two days ago, when TOL’s stock was hit for 5%: Housing Market Data Continues To Support The Bear View. This post was published at Investment Research Dynamics on September 5, 2014. The Federal Reserve’s third quantitative-easing campaign is on track to wind down in late October. At that point the Fed will likely stop printing new money to buy bonds, a sea-change shift with ominous implications for the stock markets. Their entire surreal levitation during QE3 mirrored the huge growth in the Fed’s balance sheet from QE3′s bond monetizations. When they cease, another major selloff is likely. QE3′s impact on the global financial markets has been vast beyond belief. The Fed launched QE3 in September 2012, just before the important United States elections. This goosed the US stock markets in that critical final couple months ahead of the elections, right when they were on the verge of selling off dramatically. Odds are very high that the Fed’s brazen market manipulation gave the election to Obama. In the 28 presidential elections since 1900 prior to that 2012 one, the stock markets rallied in September and October 16 times. The incumbent party won 15 of those elections! And during the 12 times when the stock markets fell in September and October, the incumbent party lost 10. The Fed choosing to launch a stock-market-boosting QE campaign in those pre-election months forced stock markets higher. If the S&P 500 (SPX) had dropped as it was set to do in September and October 2012, Obama would’ve almost certainly been a one-term president. The Fed’s colossal market and political manipulation was no accident. Since QE2, Republican lawmakers had been highly critical of the Fed’s money printing to buy bonds. The low interest rates that spawned enabled Obama’s record debt-fueled spending binge. Since the Fed faced serious challenges to its independence all the way up to its very existence from a Republican president and Congress, it massively intervened in the markets to sway an election. And QE3 just got worse from there. The Fed expanded it to include direct monetizations of US Treasuries a few months later in December 2012. That forced rates lower, farther fueling Obama’s epic deficit spending. QE3 was far different from QE1 and QE2, which were finite from their births. QE3 was the Fed’s first open-endeddebt-monetization campaign, with no prescribed limits. This potentially unlimited scope of QE3 helped create an exceedingly unfortunate side effect in the stock markets. Since QE3 had no defined end, stock traders figured it would be around to backstop stock markets more or less indefinitely. Led by uber-inflationist Ben Bernanke, the Fed’s dovish communications fanned this popular belief among traders. Over and over during QE3 the Fed implied that it was ready to act, in effect to increase the scale of QE3′s monthly money printing to buy bonds, if the stock markets slid. This incessant Fed jawboning left stock traders utterly fearless, as they figured the Fed would arrest any major stock-market selloff. So every dip was quickly bought, leading to the stock markets soaring. The SPX blasted 29.6% higher in 2013, the only full year of QE3! And this flagship index is up 39.5% since QE3′s birth. And it wasn’t like the stock markets were low before the Fed hatched its QE3 scheme. As of the day before, the SPX had powered 112.3% higher over 42 months in a very large cyclical bull. Stock markets were already lofty. This post was published at ZEAL LLC on September 5, 2014. 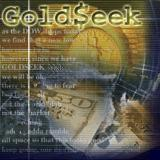 This post was published at GoldSeek on Sept 5, 2014. The WSJ Dollar Index, a gauge of the dollar’s exchange rate against seven of the world’s most heavily traded currencies, is up 3.4% in the past two months, after barely budging in the first half of the year. The Wall Street Journal on Tuesday stated that it rose 0.4% to its highest level since July 2013, as ‘a report showed U. S. manufacturing activity in August accelerating at the fastest pace in more than three years’. That very well may be the case or it could be a loss of confidence in other currencies. Nor does a rallying dollar change the fact that these following nations have all been large buyers of gold, and likely candidates for a future anti-dollar alliance. Some of them have already joined an anti-dollar alliance. But in order to truly safeguard themselves against the monstrous debt obligations worldwide and the debased US dollar, they must buy much, much more gold. In recent memory gold and silver have been relatively forgotten as enough of the market believes we are in a recovering economy. The price of gold to silver on a day-to-day basis is not of much significance to us dollar vigilantes. Gold is insurance against what Jeff Berwick calls The End Of The Monetary System As We Know It (TEOTMSAWKI). Many institutions and people are happy with a low gold price. As they say, its a buying opportunity. That’s at least how these following nation-states and/or their citizens must see it. Although it might seem that the following numbers paint a picture that these central banks have a lot of gold, the truth is that when compared to their actual capital reserves, a much different picture is painted. These central banks often have reserves which are just 1-2% of their overall capital. Their currencies are not backed by gold. The gold is virtually nothing versus the capital of the central banks. The following nations barely hold any reserves, let alone gold reserves. It’s part of a new trend of global central banks are heading towards a no-capital reserve world order. This post was published at GoldSilverBitcoin on Sept 5, 2014. The Crash Course – Chapter 12 – How much is a Trillion? One trillion is a big number. In this short video, we try to help you get a sense for just how big; but the reality is simply that the human brain can’t really suitably comprehend magnitudes this large. Which is why we should be concerned that the US’ money supply has ballooned to over $12 trillion dollars over the past decade. And that its outstanding debts and liabilities are many multiples that amount. “I don’t know if the people on Wall Street are not really getting out and seeing what’s really going on. The Non-Farm Payrolls number sucked out loud with a fairly stupendous miss. If you back out the imaginary jobs from the Birth Death report, the economy added about 40,000 real jobs, of a generally low quality. Chief Strategists and economists took delight in the tenth of a percent decrease in unemployment, a generally misleading statistic. And of course, stocks rallied. Given the need for the central banks to keep printing money, and the ECB’s endorsement of that approach, the hit on the metals this week makes quite a bit of sense from a perception management standpoint of the porcine persuasion. Here is my most probable forecast for the future. Be sure to make a note of it. The next time there is a financial crisis, which is likely to be in the not too distant future, almost to a person the economists and talking heads of the status quo will express shock and bewilderment saying, ‘who could have seen this coming?’ Unless of course there is some foreign scapegoat who can be conveniently blamed for the collapse of a house of cards. And then, from their Olympian heights of privilege, the overpaid pundits will quickly fall back into their most comfortable, ideologically blind slogans. There is too much government, or there is not enough stimulus or the unfortunate many are just lazy and stupid. And meanwhile, given the lack of reform of the financial and political system, the average American family, which they will all claim to uphold and revere, is being led down a blind alley of officially tolerated corruption, and strangled. This post was published at Jesses Crossroads Cafe on Sept 5, 2014. SRSRocco: We Don’t Come Out of The Collapse That’s Coming! It is now six years since the collapse of Lehman Brothers, and considering that the US economy has officially been in recovery for the past five years, that equity indexes have put in new all-time highs, and that credit markets are once again ebullient to the point of carelessness, it is worth contemplating that monetary policy remains stuck in pedal-to-the-floor stimulus mode. Granted, quantitative easing is (once again) scheduled to end in the US, and the first rate hikes are now expected for next year, but the present policy stance certainly remains highly accommodative. A full ‘exit’ by the Fed is still merely a prospect. Expectations appear to be for the US economy to finally emerge from its long stay in monetary intensive care healthier and fit for self-sustained, if modest, growth. I think this is unlikely. The lengthy period of monetary stimulus will have saddled the economy with new dislocations. And if central bank intervention did indeed manage to arrest the forces of liquidation that the crisis had unleashed, then some old imbalances will also still hang around. ‘Easy money’ is – contrary to how it is frequently portrayed – not some tonic that simply lifts the general mood and boosts all economic activity proportionally. Monetary stimulus is always a form of market intervention. SLV we lost a tiny 239,700 oz in silver inventory at the SLV:/now 333.207 million oz. The tiny loss no doubt was to pay for fees. As far as gold and silver is concerned we had a huge increase in the comex OI for both metals. I guess some of the new speculators wish to tackle the likes of our crooked bankers. We are also witnessing an increase in the amount of metal standing for gold. In a off delivery month, the amount of gold standing is generally below one tonne for the entire month. Today we are already at 1.695 tonnes standing. However the real story is the OI in silver. For the past year or so, the OI for silver has been close to or at record levels despite the low price of silver. Gold has a low OI and a low price, but silver has the opposite. Today the OI hit 165,237 contracts with the price of silver officially at $19.08. When you see an anomaly like this, it generally straightens itself out in weeks. However not in silver as we have two sides facing off against each other in bunkers and both not blinking. As most of you know, it is my contention that the longs (who have deep pockets and impervious to pain) is Mainland China who wish to get their loaned silver back. The fun will begin once Shanghai is out of silver and set its eyes on comex and SLV silver if there is any! Today we have commentaries concerning the Ukraine, Russia, the ECB, the jobs report in the USA and Argentina. This post was published at Harvey Organ on September 5, 2014. When Will It All Run Out? Simply put, the reason why Mario Draghi’s impressively-pitched ABS ‘stimulus’ QE-lite plan won’t help can be summed up in 2 words “unencumbered assets.” There is simply a lack of the right quality collateral, that has not already been swapped with the ECB (or delevered off balance sheets), for this to make a difference. However, as Bloomberg reports, the plan will not even get that far.. because the market for these assets is incapable of supporting this size of buying. As one major ABS asset manager notes, it takes him about three months to buy 1 billion euros of these securities, “the number that’s circulating the market is 500 billion euros, but where is he going to get it from?” Add to that the report from Die Welt that The ECB lacks sufficient expertise for ABS purchases, and as another major European ABS manager concludes, “I don’t see either a capital relief for banks or the banks giving more credit to the real economy.” Still, it’s fun to believe Draghi’s promises, right? Just weeks after defaulting (yet again) on its debt (whether technically or not), and shortly after raising the minimum wage by 31% (to $523 a month) amid runaway inflation, it appears Argentina has gone full-Venezuela. As WSJ reports, the great minds that ‘run’ Argentina have decided to pass legislation (dubbed “the supply law”) letting the government regulate private-sector prices, profit margins and production levels. The opposition is up in arms, “this is absolutely ridiculous. It’s part of a very primitive ideology that says government officials should decide what people should make, how much they should make and how much they should charge,” adding that “we already know exactly what it is like to suffer from these kind of interventionist economic policies,” in Venezuela. The Wall Street jackoffs all expected an increase in jobs of 200,000 to 250,000 for August. I guess being off by 30% to 40% is considered accurate for an Ivy League educated economist making over $1 million per year. The manipulated, massaged, seasonally adjusted, excel spreadsheet employment data has been released for public consumption by our keepers. They will now tell you what you are supposed to believe regarding the fake numbers. Maybe the weather was too warm for hiring. Maybe it rained or didn’t rain. Maybe ISIS and the looming threat of terrorist attack is deterring employers from hiring. It couldn’t have anything to do with Obamacare, Federal Reserve policies, government regulations and taxes, or the fact that families have 40% less net worth today than they had in 2007. This post was published at The Burning Platform on Sept 5, 2014. This past week has seen the market repeatedly attempt new “all-time” highs only to be found wanting. There has been plenty of headline data for the “bulls” to feast on from the ECB announcing a program to buy bonds, surging ISM data and improvement in productivity. However, the underlying data has kept the “bears” in the game with new orders and employment showing weakness, unit labor costs shrinking and the realization that the ECB’s plans are likely be ineffectual. There is mounting evidence that these monetary campaigns have very little effect on stimulating economic growth, yet the ECB specifically noted yesterday that they are engaging in the same program in hopes of stimulating economic growth and inflation. What the actual outcome will be is yet to be seen, but over the last 24-hours the markets seem to less convinced of a positive outcome. This post was published at StreetTalkLive on 05 September 2014.